When you click on next on page 1, you go to the donations page. The Total Donation amount (Connecting to paypal) should take its value from Donation Amount which is just above it. At the moment this is what I see on Paypal Wizard. (See screenshot) there should be an option to select donation amount from whatever field on my form, Why is it not appearing? I think that a text box field you used for the Donation Amount is not able to pass value to a Payment Tool. 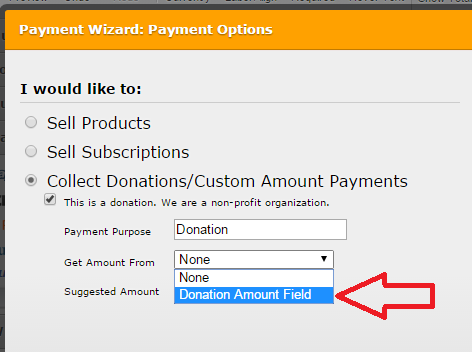 Could you try to insert a Form Calculation field instead (getting the value from the Donation Amount or recreating the formula inside the Form Calculation wizard). 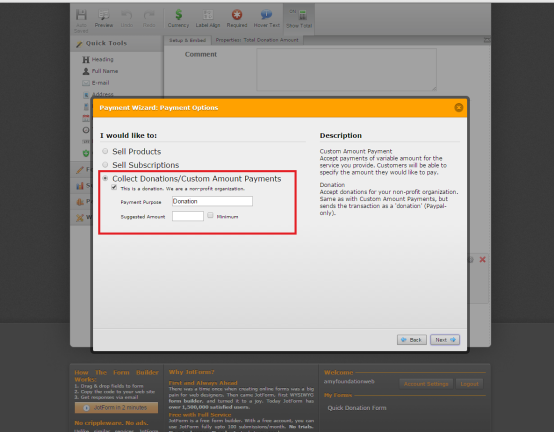 Then re-run your PayPal payment tool wizard. And this time, it will give you the option to select the updated amount in the Suggested Amount dropdown menu. Also, instead of using a checkbox on the Gift Aid option, try using a Radio button instead as this will avoid conflict in the calculation.